​There were 206 people from Story City that served in the military during World War One. Of those 206, eleven men lost their lives while in service. Throughout 2018, the Historical Society will be paying tribute to these eleven soldiers in the Herald on the 100th anniversary of their death. The fourth and fifth soldiers from Story City who died while in service were Andrew Peterson and Clifton Wier on October 4, 1918. Andrew was inducted into the Army at Nevada on August 8, 1918 and from there went to Waco, TX. His company left for France fairly quickly after Andrew entered the service on September 23. In the October 31 edition of the Herald it was reported that Andrew died on his way across the Atlantic and was buried at sea with military honors. He had contracted influenza on the way over and his death from pneumonia followed very quickly. Sadly, Clifton Wier met a similar fate as Andrew on the same day. Clifton was born in Story City on March 30, 1893 and he was the son of Charles and Eliza Wier. Prior to entering the service, Clifton worked as a laborer including on his father’s farm and in 1917 he had the contract for hauling the brick from the train cars to Broad Street for the paving of the street. 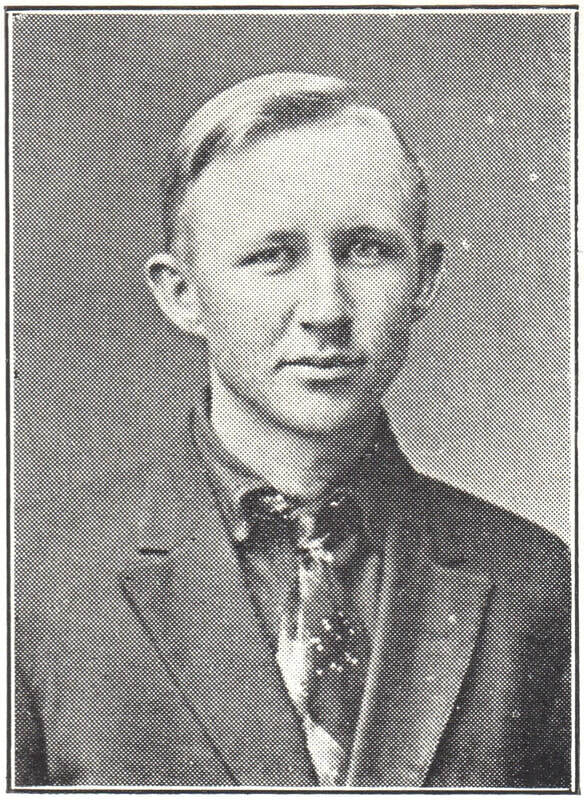 Clifton enlisted in the army on July 19, 1918 and headed to Camp Pike, Arkansas. 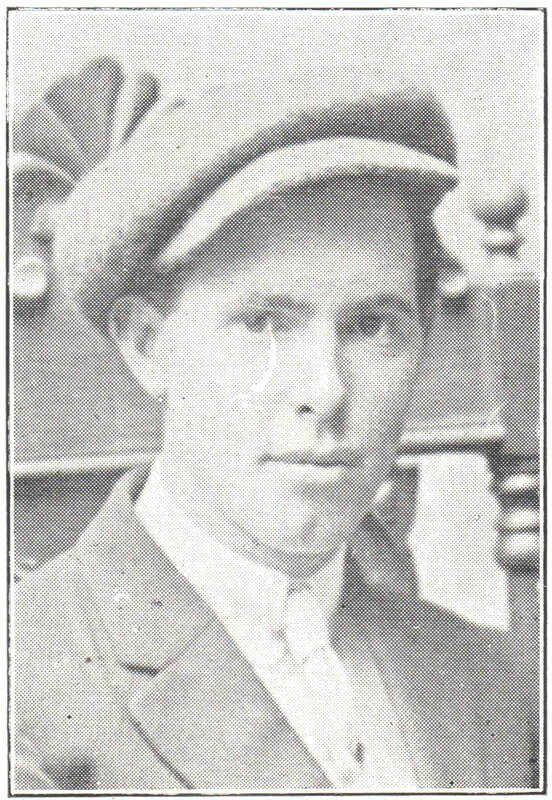 Similar to Andrew, Clifton’s company left for France within about two months of his enlistment. Clifton sailed from New York on September 22. His brother-in-law, Captain Williams, had spent the last hour with him before leaving and said he was in excellent health. Clifton’s death was also reported in the October 31, 1918 edition of the Herald. He died two days before his ship reached France. At the time it was customary to bury the body at sea, but “the Captain of Clifton’s company insisted that as he had started out to take his boys to France he was going to do it in spite of anything.” The captain got his way and Clifton was buried in St. Nazaire, France. In the fall of 1920 Clifton’s remains were brought back to the U.S. as was requested by his mother. When Clifton’s body returned to Story City, it was placed at the home of his grandmother, Mrs. W.A. Wier on North Pennsylvania Ave for a few days and the funeral service was held on October 13. A large crowd gathered to pay their respects. The local legion post was in charge of the funeral service and fifty members appeared in uniform. Clifton was laid to rest in Fairview Cemetery. As we remember Andrew Peterson, Clifton Wier, and all of our Gold Star soldiers throughout this year, let us not forget that they gave their all for liberty and peace.